Just before going on our trip to Big Bear I was home from work one day watching my favorite, the Pioneer Woman, on the Food Network and she was making brunch for the ladies in her family. It was a cute episode with great breakfast ideas. Especially ideas for preparing the night before. One of the sides she made was Champagne Oranges and I thought that it would be perfect for our weekend of drinking up in the mountains. After all, the best way of getting over a hangover is having a drink…. Right? Well I am not sure if that’s exactly true but my version of Champagne Oranges was pretty delicious for our brunch. 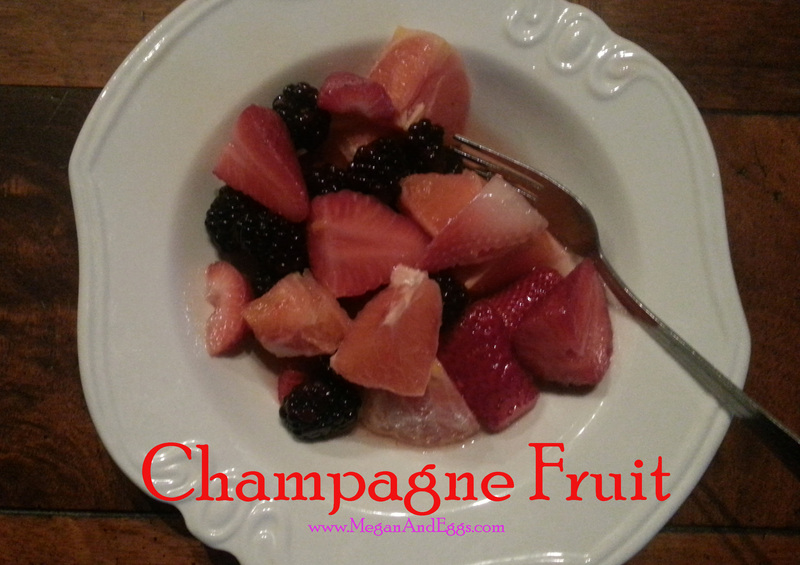 Here is my simple take on the Pioneer Women’s boozy fruit salad. Simply wash and cute the fruits and place into an oversized mixing bowl. Pour entire bottle of champagne into fruit and ensure all of the fruit is submerged. Allow to sit overnight and in the morning sprinkle sliced almonds on top prior to serving.